Diana L. Paxson expands Marion Zimmer Bradley's beloved and bestselling Avalon series in a dramatic new installment. Marion Zimmer Bradley's Ravens of Avalon, the prequel to The Forest House, tells the story of the Roman conquest of Britain and the origin of the Forest House that preceded the return to Avalon. 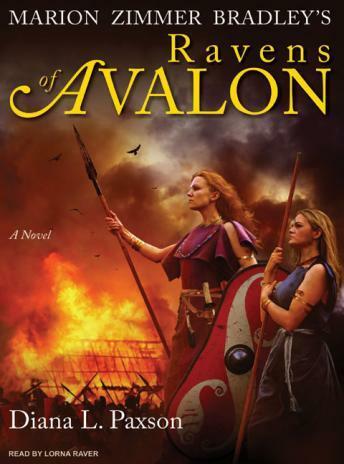 Marion Zimmer Bradley's Ravens of Avalon follows the journey of Boudica, a Celtic princess, and Lhiannon, a priestess who is Boudica's mentor on the Druid isle. When the Romans conquer Britain, Lhiannon fights them while Boudica marries a king who has surrendered. Theirs is a great love story, but when he dies, the Romans brutalize her and her daughters. Enraged, Boudica raises the British tribes and nearly succeeds in driving the Romans from Britain, claiming a place in history. Lhiannon survives and becomes the guardian of the Druid traditions in the new Roman Britannia as high priestess of the Forest House. Epic in its sweep and peopled by the remarkable women who have always inhabited Avalon, Marion Zimmer Bradley's Ravens of Avalon expands the legendary saga that has enchanted millions of readers over the years and is sure to please Bradley's loyal readership as well as anyone who loves wonderfully told stories of history, myth, and fantasy.